Tag: Why Choose Nursing Education? Nurses are in high demand. The demand is so high, that many consider the number of RN’s available to be a near catastrophic deficit. 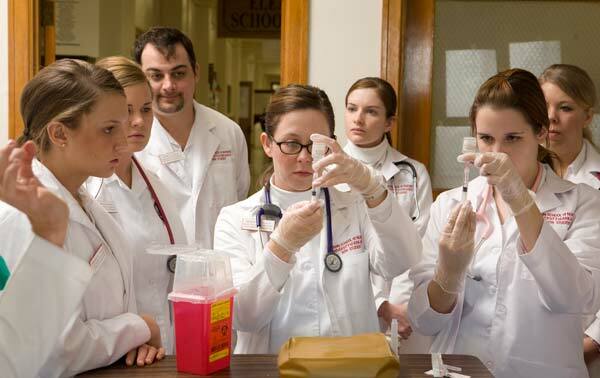 All across the US and even abroad, nursing courses are a dime a dozen. With so many needing medical attention, chances are the need of providing more medical staff such as nurses and doctors would still be among the highest in terms of enrollees in our colleges and universities. And leading the supply of nurses in the country is the Distance Learning Systems Indiana, Inc. (DLSI). Since 1999, DLSI is constantly providing customized educational programs as well as test preparation products for our potential nurses. No longer is a nursing education done in the four corners of a classroom, DLSI offers the concept of learning information at a distance. It offers flexibility and an environment that suits every student as he intends to learn from DLSI’s unique educational program. Recognizing the inherent differences in every student, DLSI addresses each need from its Blended Learning Program, an interactive, classroom-based online video classroom where nursing students could test-out programs to supplement their education or even credit requirements. They offer free nursing seminars, superior course materials, tutoring, and even financial assistance to augment the growing demand of producing more competent nurses in the country. Nursing education has come a long way with DLSI. It is their goal of preparing them for a successful nursing career, not just mere medical staffers in some private hospital out there. DLSI has its national passing rate at 97%, one of the highest in the country. They simply take care of your nursing education so these new nurses could take good care of their patients. And with its mission statement of providing affordable and appropriate access to higher learning, you can be sure that the quality of nurses they will not only heal the sick but also improve the condition of their lives as well. When you are pursuing college, you will have many options on what career you will take. You could become an engineer, a chef, an attorney, a photographer etc., depending on what field you most likely see yourself in the future. But if you want to have a career in the health care field, then you could enter a field that has become desperate for candidates: nursing. 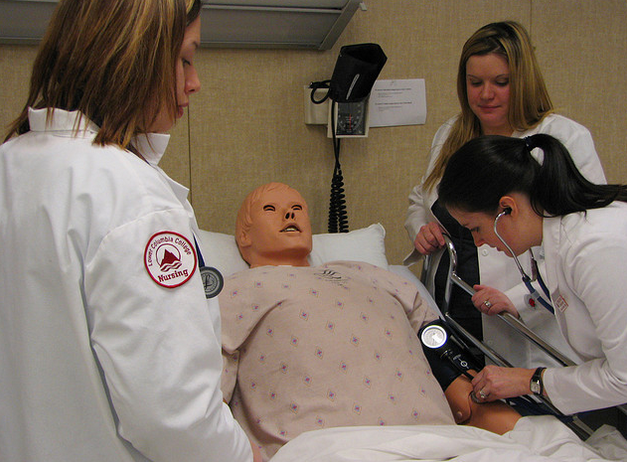 Nursing is an excellent choice for any students who are interested in health care. Opportunities are growing for nurses faster than qualified individuals can fill the openings, which virtually ensure your employment once you graduate. According to the U.S. Department of Labor, nursing is the fastest growing profession in the economy. There is also a projected shortage for nurses, currently and in the years to come. The estimates of the U.S. Healthcare Resources and Services Administration (HRSA) state that the country will need several hundred thousand more nurses by year 2020. This shows how important nurses will be and how large the opportunity is for them. Nursing is a noble profession and it positively affects individuals in the community. When you are a nurse, you have the opportunity to provide care for infants, children, adults and elders to avoid or prevent diseases or to help patients recover from their illnesses. Nurses actually compose most of the healthcare work force and have diverse work settings. Nurses can either work on hospitals, heath clinics, care facilities, home health agencies, or schools. Advancing your studies is possible in nursing. You can pursue nursing education at the graduate levels to advance your skills and earn more knowledge. Salaries are not an issue for nurses. Due to the accuracy and the efforts offered by nurses, they need proper compensation. The growing need for nurses also helps in the increase of nurses’ salary. But, for nurses who work for the love of the services they rendered, salary is just a bonus. Author ErikPosted on August 29, 2014 September 2, 2014 Categories Nursing EducationTags Healthcare Resources and Services Administration, HRSA, nurse, nursing, nursing course, nursing degree, nursing education, nursing shortage, shortage for nurses, Why Choose Nursing Education?Leave a comment on Why Choose Nursing Education?